The PRMS is an 18-passenger remotely piloted rescue submarine for the US Navy rated for depths up to 2000 feet. 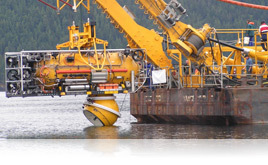 TRAXX was responsible for integration activities between the surface operations van and the subsea rescue vehicle. TRAXX also supported Factory Acceptance Tests and local sea trials. The MiniMole is a 44-thousand pound remotely operated mining vehicle designed for excavation of narrow vein reef-type gold deposits. 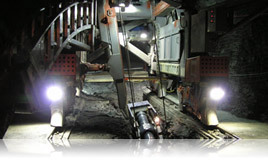 This proof of concept machine explored the feasibility of remotely operated mining, which offers benefits that include increased safety by removing personal away from dangerous open stopes, and improved overall mine productivity. TRAXX personnel provided software and hardware engineering services that included design, building, and operations. The TRAXX team has experience with the design and building of Robotic Manipulator Training Facilities for the Canadian Space Agency. 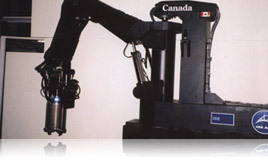 TRAXX personnel provided software and hardware engineering services that included the design and building of manipulator systems modeled after the Canadian Space Arm on the International Space Station.